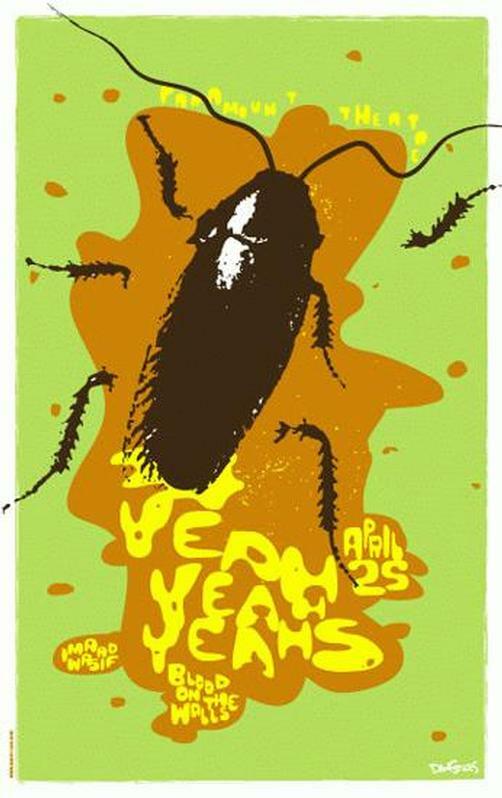 Original silkscreen concert poster for Yeah Yeah Yeahs at The Paramount Theatre in Seattle, WA. 18 x 28 Green, yellow, ochre, and brown on card stock. Signed and numbered Limited Edition of only 65! By artist Dan Stiles.